Our Spacer Tapes find a wide range of application in areas ranging from electronics to construction. 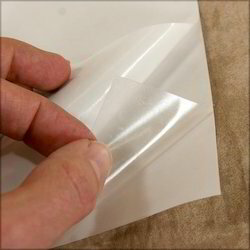 Our product range also comprises of Surface Protection Film, Adhesive Transfer Tapes and Lamination Film. We offer high quality Double side and single side adhesive coated polyester film for Membrane switches. our Spacer tape for Membrane switches is High Cohesive strength, non-transferable adhesive to withstand stress and for long lasting performance in a variety of environments. Custom made quality also available. Our Spacer tape compliance the RoHS and REACH requirements. Owing to extensive experience, we are a leading manufacturer and supplier of Structural Glazing Spacer Tape made from premium quality materials manufactured in a ISO 9001:2008 Quality Management Systems certified Plant. Further, these glazing tapes are available in various widths and thicknesses. 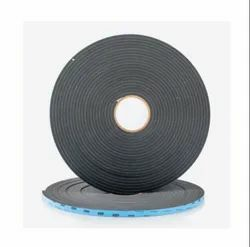 Employed as compatible spacers for various structural glazing applications, these tapes are coated with high tack pressure sensitive adhesive on both the sides. 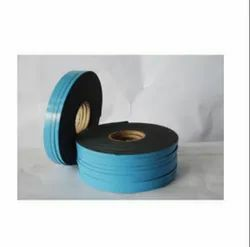 This product is well known in the market as BC Fix Spacer Tape. Compatible with most of the sealants available in India. BC FIX Glazing Tapes find wide application in the construction industry. Our Glazing Tapes are approved by all Major Sillicone sealant suppliers and we have Quality certifications for the same. Our spacer tapes offers cross-link PE foam that finds purpose in a variety of structural glazing applications. Further, our tapes come coated with high tack pressure sensitive adhesive thereby offering an excellent grip on aluminum surfaces and a tension free surface hold. Available in strip form also. Looking for Spacer Tape ?